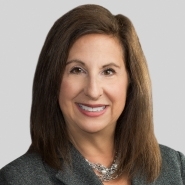 Joyce Edelman, a partner in Porter Wright's Litigation Department, will be a moderator of a panel discussion at the Ohio Women’s Bar Association Annual Conference to be held May 18th. Joyce will lead a discussion during the panel titled, “Advancing the Next Generation of Women Leaders in the Legal Profession,” where panelists will share best practices that can be utilized by institutions and individuals to ensure that women lawyers continue to advance as leaders in the legal profession. Visit the OWBA website for registration details and further information.